There's not a lot we can tell you about 5 Seconds of Summer that you won't already know, unless you've been living under a rock for the past six months. The "boy band with attitude" started out supporting global superstars One Direction and have now notched up a number-one debut album and sellout global tour. 5SOS have conquered the world with their zany antics, charm, good looks, singing, writing and performing talent, and devotion to their loyal fans. 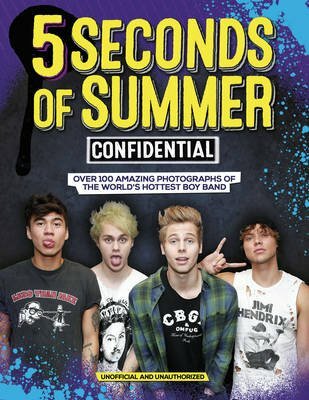 5 Seconds of Summer Confidential is the ultimate visual guide to the band, an Access All Areas pass for fans to gain an exclusive insight into each member as well as stunning photography of the boys hard at work, and play, all around the world.